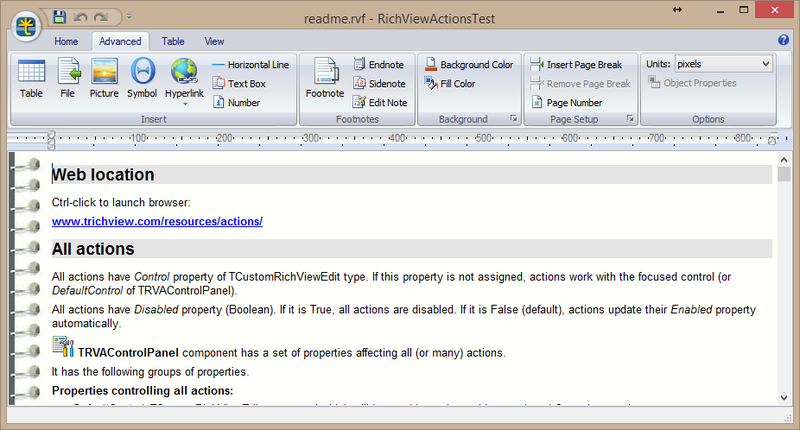 License: Free addon for TRichView v17.5+ (license agreement). 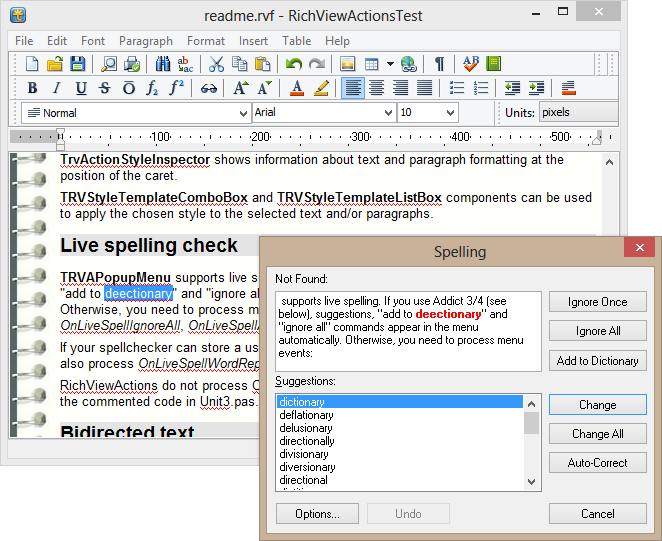 Compiled demo projects (using TRichView editor, using ScaleRichView editor, using TRichView editor and Addict4 spell checker): included in TRichView demo projects. RichViewActions is a set of actions for Delphi, C++Builder and Lazarus allowing you to create a user interface for a TRichView/ScaleRichView editor. Actions can be assigned to buttons, menu items, toolbars (you can use standard VCL/LCL classes or your favorite third-party components if they support actions). Actions require no programming – just add a new action in the action manager, assign it to a component, and it will do all the work automatically. 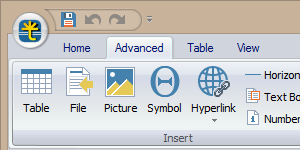 RichViewActions support Windows themes and Delphi XE2+ visual styles, including dark themes and styles. 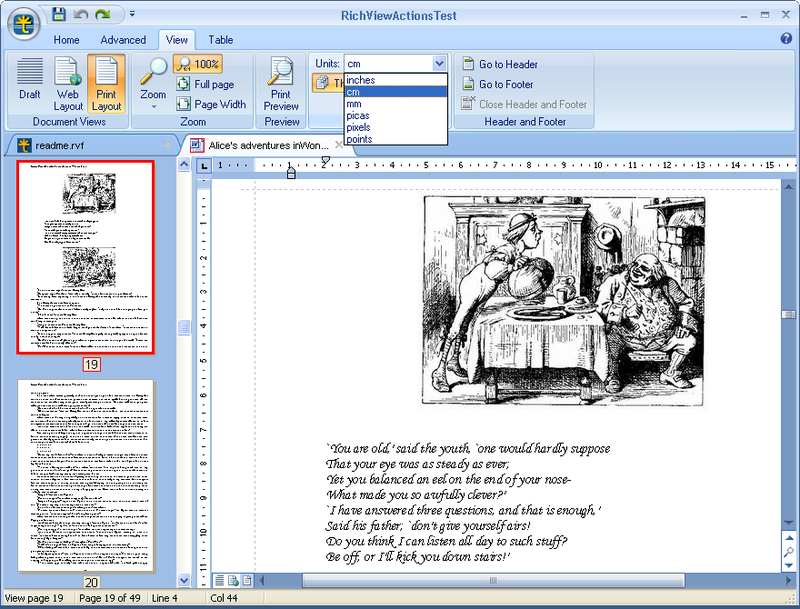 Dialog windows in RichViewActions support high DPI screen modes. 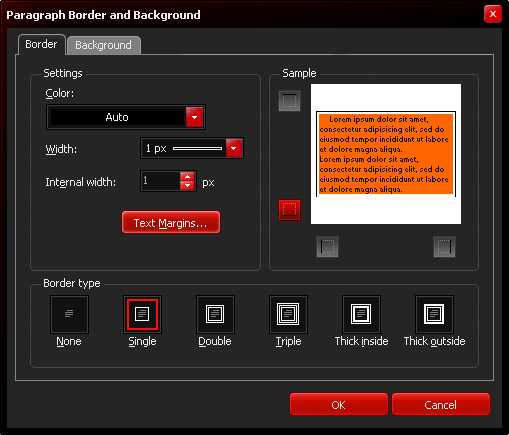 Registered TRichView users can register Addict Professional + PlusPack and GlyFX images with discounts. 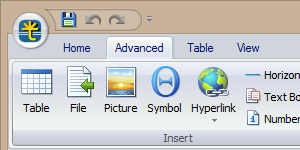 RichViewActions include an exclusive set of the high quality toolbar icons. In the ActionTest demo, you can change the language by clicking Language button at the bottom right corner of the main window. See RVALocalize.pas for instructions on adding new translations. Special thanks to Michael Beck and Matt Harward who created a base for this project. 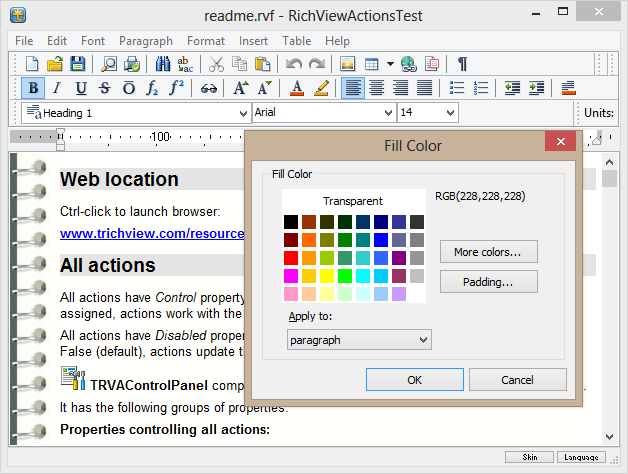 Starting from version 1.29, RichViewActions use TRVGrid and TRVColorGrid implemented by Dmitry Bobrik, BCSoft.